A federal judge in Harrisburg has ordered the state prison system to release Arthur Johnson from solitary confinement, where he has spent the past 36 years. 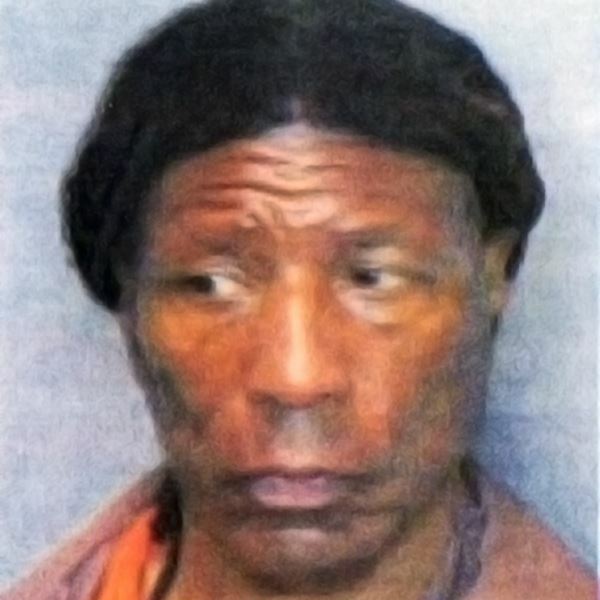 Arthur Johnson made several escape attempts after being convicted of the 1970 murder of a man during a street fight in Philadelphia, but officials describe him as having been a model prisoner for the past 25 years. Johnson’s 7-by-10-foot cell, containing a TV, radio, bed, desk and toilet at the prison in Frackville, about 100 miles northwest of Philadelphia, is illuminated at all hours. He gets one hour in a small caged-in area of the prison yard five days a week and is taken to showers in handcuffs three times a week. “To confine an inmate to isolation indefinitely, absent a tenable threat, cannot be justified under the guise of institutional security,” the judge wrote. “I behave every way that they told me I was (supposed) to behave, and it really doesn’t mean nothing at all,” Johnson testified in July, Conner wrote. A spokeswoman for the Corrections Department said the matter was under review, and declined comment. Freaking pathetic behavior by prison guards, let him go! This is inhuman the fact that this blk man or any man for that matter is kept confined this long. Everyone from the Warden on down should be held accountable. This man has had 1 infraction since 1980. So why keep him there. It’s crazy imagine how many people that are lost to the system. Because they have no family members or anyone fighting for them on the outside. This man should get a full pardoned by the Gov of PA. Proof positive that the White Man is the DEVIL!!! That is mighty racist of you, thank you! didn’t the black guy kill someone? Give me a break, stop this racist crap, not all white people are the same, nor are black people. Stop the ignorance. Yes, I’m sure no black guards or DOC officials were involved. Retard. Why is there always a race card. He was a model prisoner because of where he was. White people are no more devils than blacks Hispanics Chinese or any other nationality. WE ALL BLEED RED AND IF YOU NEED BLOOD HOW DO YOU KNOW WHERE IT CAME FROM!!!!!!!! STOP the race cards for Gods Sake!!!!! This is just so wrong. Mankind was not ment to br alone. What happened to rehabilitation? And as soon as you let him out he is going to rob and kill someone. “prediction#28867”. lee Harvey he is 64 dude…. 64. He is more likely to be robbed and beating if he attempts to rod someone. You are horrible. 37 years in a dark box is unreasonable. UNREASONABLE!!! Why is it that so many people assume that a person who has been confined for many years that they’re going to commit a crime??? Not everyone who goes to jail repeat their crimes!!! I mean come on, at least give the man a break. They didn’t say they were releasing him. Anyone seen Shawshank redemption? Isolation ruins you. Poor guy, he deserves human contact, a chance at a normal life with blue skies and a terrible job. You can only pray he’ll be able to recover from being so mentally screwed from all these years in captivity that he’ll hopefully eventually halfway adjust to normal life. Prison is not rehabilitation. The poor regardless of race never get a shot at a decent life. And it all begins in early education. This society is caught in a spiraling whirlpool of zero compassion to people born in poverty. We would rather send jobs overseas than give a poor person any shot at all. Instead, we should kill him and eat him! This society will never give a person born into poverty a decent shot. From early education to sending jobs overseas. People in poverty are given three options, substance abuse, violence, and the lottery. That’s society’s dogma for the poor. Extended solitary confinement is cruel, and tends to have the opposite of the desired effect. This does permanent, irreparable harm. I’m not sure if a lobotomy is worse. It’s like a bag of wet cats. You have to listen quite gully. i hate this world and mankinds judgements….because they are biased and often time wrong !!!!! The US detention system is not built around rehabilitation, it’s merely there to babysit for only as long as they have to. The Justice system, the Presidential candidates, the economy, the the the etc etc etc. WE HAVE NO ONE TO BLAME BUT OURSELVES. It’s time for American’s to wake up and stop drinking the Kool-Aid. If we dont do something soon our country is going to end up driving itself into the ground. There’s a difference between punishment and “cruel and unusual punishment.” This is an example of the latter. A really said commentary on our criminal justice system. Just ridiculous, this type of stuff needs to stop. We don’t deserve to be treated as animals. That’s not who we are. Cruel and unusual punishment, a good example of how our judicial and correctional system failed to protect the constitutional rights of a citizen. In addition, this amounts to a violation of human rights. Why, I ask myself, is no official being made responsible for this gross violation. he was cited for misconduct NINETY times. It will be interesting to see what will happen. I do feel he will need more than 90 days to reintegrate into society. Maybe a more gradual release like a reintegration into general population at the institution then intensive supervision at a community correctional facility slowly moving towards full release. This way there is less shock to the offender. Don’t forget he is a convicted murderer. His victim lost their only chance at life because of him. if this isn’t cruel and inhumane I don’t know what is. Solitary confinement for long stretches of time, not to mention 37 years, is a violation of prison accreditation standards. How this prison was able to get away with it is mind boggling. I sense there is something more to this that we may never know.